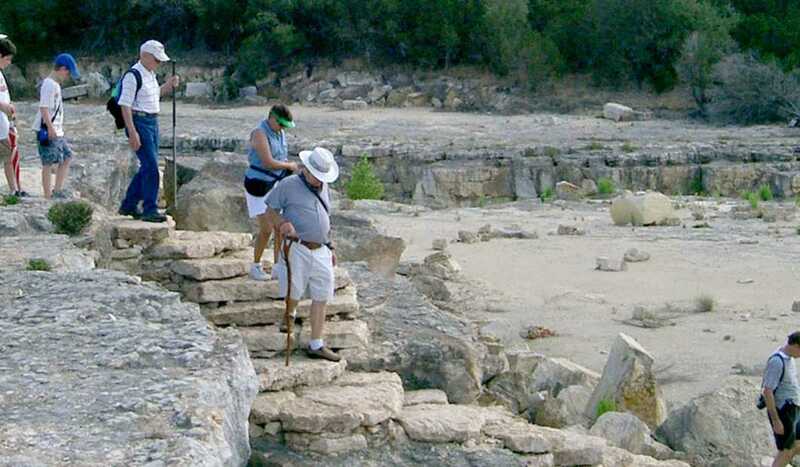 The Gorge is a real-life classroom in which visitors learn how the aquifer’s underground permeable rock cavities soak up, store, and move rainwater that many in Central Texas depend on for drinking water and irrigation. Geologists and oil company representatives come to study the faults and fracturing of the Gorge’s limestone. And the Gorge gives Tour Participants an opportunity to explore dinosaur tracks and perfectly preserved fossils, exposed for the first time in millions of years. Fossilized sea urchins are so perfectly preserved that one can see the spines and the minute seams along the creatures’ bodies. One can even see fossilized ocean ripples in the limestone.